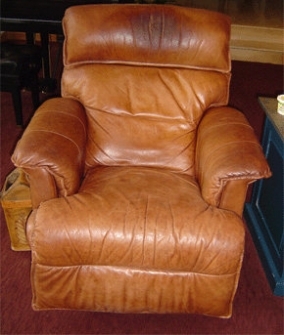 Product description: Top-rated leather recoloring product available online, shipped to your front door. Learn more here! 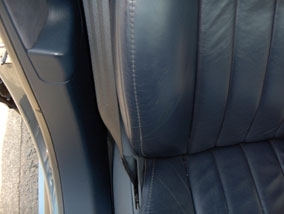 Quickly and easily restore color to all absorbent leathers. Ideal for furniture & clothing. 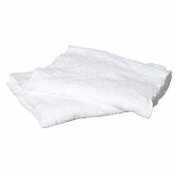 Easily restores the color to all absorbent leathers by simply being rubbed in with a soft cloth. The Balm soaks into the leather restoring the color and aspect of the leather. If you think about it, life and leather draw many parallels. One of these parallels can be seen in the way time progresses, and the affect that time has on not only us, but also our possessions. Let’s face it – as much as we would love for our leather products to look brand new for decades of use, wear and tear happens. Although we can’t change this leather (or life!) reality check, we can only hope to find ways to erase the aged appearance of leather that’s lived a longer life. At Furniture Clinic, we’ve found a way to turn that hope into a reality, and it’s in the form of a product that can arrive on your doorstep in just a few days! Our Leather Re-Coloring Balm is all about restoring the color of your leather possessions – both old, and new. If the color in your leather is beginning to fade, or has fallen victim to damage like cat scratches or sun exposure, our Leather Re-Coloring Balm provides a quick and efficient solution. We know you’re excited to test out our Leather Re-Coloring Balm, and we’re excited to see the great results that it will bring to your leather products! Before you buy, we recommend that you test your leather by applying a tiny drop of water onto an undamaged section of your leather, and see if the water soaks in. If the leather isn’t absorbent, you will need a Leather Touch Up Kit (for small areas) or a Leather Colorant Kit (for larger areas). For scratches, the Re-Coloring Balm will only work if the scratch has gone to a lighter color than the leather. 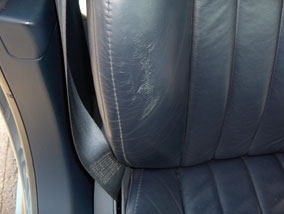 If the scratch is darker, you will need our Leather Touch Up Kit. Our Leather Re-Coloring Balm will transform the color of your leather items, and breathe life back into worn or faded leather. As one of the top-rated leather recoloring products available online, the Leather Re-Coloring Balm is your perfect solution for restoring the beautiful color of newly purchased leather. Leather Re-Coloring Balm can be used on all different articles of leather, from furniture and car interior to clothes, shoes, handbags and even equestrian leathers. It works on all colors of leather and all different grain types. Completely restore color to a leather three piece set! The product is specially treated to resist bacterial growth and will safely last 5 years if stored in a cool cupboard with the lid fastened. This seating cushion has serious wear and is very badly worn on the surface. The colour is cracking exposing the natural colour beneath. The Re-Colouring Balm in Navy Blue was used to restore the colour. The Leather has been restored on this Mercedes bolster using a maroon balm. You don't need an exact colour match, just as close a colour as there is. The product always blends in brilliantly. 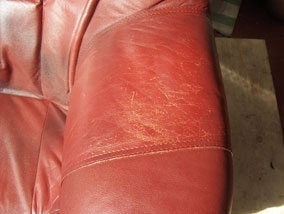 The arm of this leather chair has been scratched by cats and has suffered general wear & tear. The colour beneath is the natural leather colour exposed and the damage has been rectified using the Leather Re-Colouring balm in Maroon. Maroon was used because on a whole the leather is darker than the standard red, although the photo doesn't show it. These photos were sent into us from a customer in the United States. 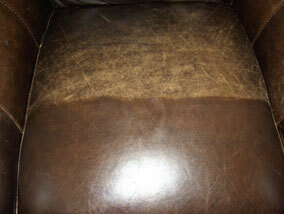 He has used one application of balm on the chair and as you can see, it has totally transformed it! The balm has re-instated the colour into the drastically faded 'white' areas of the arm chair making it look almost new again! The colour used was Tan. The head area has absorbed grease, this could have been removed first using the Leather Degreaser. 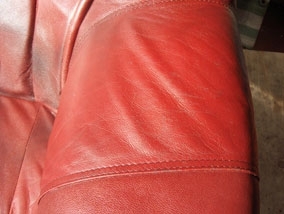 Wear and tear on the driver's side bolster has caused the colour to wear off exposing the raw leather beneath. The Re-Colouring Balm in Navy Blue is applied and the damage is hardly visible! Clean the leather first before applying the Balm, for best results use Leather Ultra Clean - This is because Ultra Clean deep cleans the leather to remove all dirt, but also opens up the pores of the leather so the Re-Coloring Balm will take to the leather in a better fashion. Rub the Balm into the leather in a circular motion to ensure penetration. This is enough to completely restore the color. Take a clean cloth and then buff the surface of the leather. Make sure there is no excess Balm left on the leather. After buffing, the leather becomes 100% colorfast. For thorough protection and longevity of your leather, we recommend applying the Leather Protection Cream, this will help to reduce future fading. the Dark Brown Leather Re-Coloring Balm. NOTE: Each color as you can see is split into three shades, this is to indicate that each color balm works on those different shades of the color, i.e. from a light to dark shade. So the more balm you apply, the darker the leather becomes, this is why you are able to achieve varying shades of a color. I ordered the mid brown leather recoloring balm which was a perfect match for two old chesterfield style sofas I had bought cheaply. They are now transformed from faded dry sad looking pieces of furniture into two fabulous sofas. I wish I could post a photo of the before and after. needless to say a few of my friends have now been pointed in the direction of this website. Followed the instructions to the letter sofa still very discolored, save your money get a proffessional in. I stumbled across Furniture Clinic when looking for something to repair a cracked leather sofa. The website was very informative both in terms of product description and the 'how to' videos. My first purchase was the re-color cream, which I tried on a small area with good results. I then order the cleaning mouse and leather care cream. All of these products arrived in good time and very securely packaged. 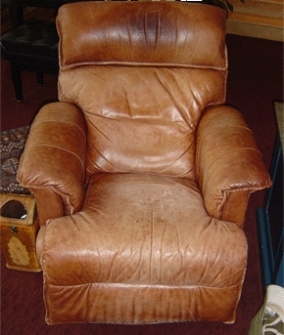 I have just completed one leather chair - cleaned, re-colored and protection. I found that the color restorer was brilliant at covering up to odd cat scratch, then used the protector as normal, then hey presto..as good as new. Would definitely recommend their products. Very impressed with product and also very impressed with videos to show how to use the product . I bought some of the Tan color balm to see if I could restore some badly sun-bleached areas of my leather chairs and settee. The product arrived very quickly and has worked really well - bringing back the color in a way that blends perfectly with the age of the furniture without looking as if part of it is new and part of it is older. The only thing I would mention is that it takes quite a few goes to remove excess balm, which doesn't dry on its own for several hours - so make sure you have plenty of cloths to hand. EXCELLENT! Does what it say's on the jar!! This product is brilliant! Acquired a good quality leather sofa which was a good few years old. It was well worn over the years and looked very tired. More and less fit for the skip! After using Furniture clinic stain remover and the cleaning moose. I opted next for the balm restorer. Comes with simple to follow instructions. After applying the product twice over on a two seater sofa, I still have quite abit of the balm left. I cannot believe the change in the sofa! I can honestly say for the money and what it does its superb. This sofa had light surface scratches all over, which has been covered up by this product. Also lost / faded its color badly over the years, this has product has definitely given its color back and more! A product that really does work! The Sofa has a new lease of life now! Thanks Furniture Clinic! We have dark brown leather family room furniture that is about 5 years old and a dark brown motled recliner that is 9 years old. The dark brown balm worked wonders on both. The light colored scratches disappeared. Very easy to apply and wipe off. Does not stain hands. Worked well on piping too,which tends to wear faster. We have a 2 year old rat terrier that is hard on leather, but after finding this product I will never worry again because it works! I will give a follow up on how long it lasts. 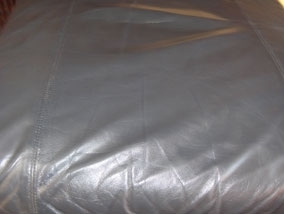 My leather couch looked worn and I really was contemplating getting a new couch thought what do I have to loose I would try this product Well it was so easy and I am pleased to say I have a new couch again. I applied this product by myself and all I could say was wow It's a miracle. Thank - you It saved me a lot of money Now I will order Protection cream as directed . We got the navy recoloring balm several years ago and it worked beautifully on our couch and chair. It gets a lot of use. I can do little touch-ups whenever I need to and the balm is still working just great. I am amazed it can be used on such a large area and last so long in the jar. I used it on a navy blue couch that I was considering replacing because it looked so awful. The couch looks almost brand new now and I am very happy with the product. I would recommend it to anyone. We have a dark brown colored leather couch that had many years of wear mainly on the seat caused from dogs climbing on the couch. Our current dog likes to run, leap on couch and bounce off the back area (uses it like a spring board) to the floor, and then repeats until she is tired..... - so there are scratch marks there as well. It is funny to watch but it is wrecking the couch. I picked the dark brown color and it blended in perfectly. I did 1/2 the couch first and showed my husband... wish I would have taken a photo because it was like night and day. Finished the rest of the couch and it looks almost like new. The jar is bigger then what I needed but I will most likely need to use it again anyway. Thank you for a great product. Furniture looks absolutely awesome. 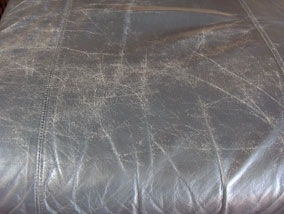 Our 18 year old leather furniture was faded and cracked. It looks new. My husband and I referred to it as Magic. It really is. I am curious as to how it will hold up and how long it will last. This is the sought after Gucci Horsebit Hobo bag, retailed for $1,600.00. I've had the bag for 7 years. It had faded from use and the sun. I searched all over for a way to bring the color back without dying it. I called leather craftsmen but they had no products for bags, only shoes. Then this product came up in a google search. I ordered the medium brown. Followed the instructions by testing in a small area. Came out perfect. I then applied to the whole bag, a nice thick layer in circular motions. INCREDIBLE! It 'filled' in the lightened areas and made it even. Is it magic?! It did not leave any kind of film on the leather, it remained soft as it was before. See the proof in the photos. With advanced barrier technology this protection cream feeds, nourishes and protects leather whilst restoring the luxurious leather aroma. Excellent leather care set combining our leather cleaner and protection cream. Cleans, feeds, and protects whilst reinstating the original leather aroma. The ultimate all-purpose leather cleaning solution, providing safe, deep, effortless cleaning for all types of leather.